Figure 3. Fuel Cooler Removal. Verify butterfly valve (Figure 2, Item 1) on seachest is off. Position a drain pan under fuel cooler (Figure 3, Item 3). Remove four clamps (Figure 3, Item 1) from two hoses (Figure 3, Item 2). of personnel. Seek medical attention in the event of injury. 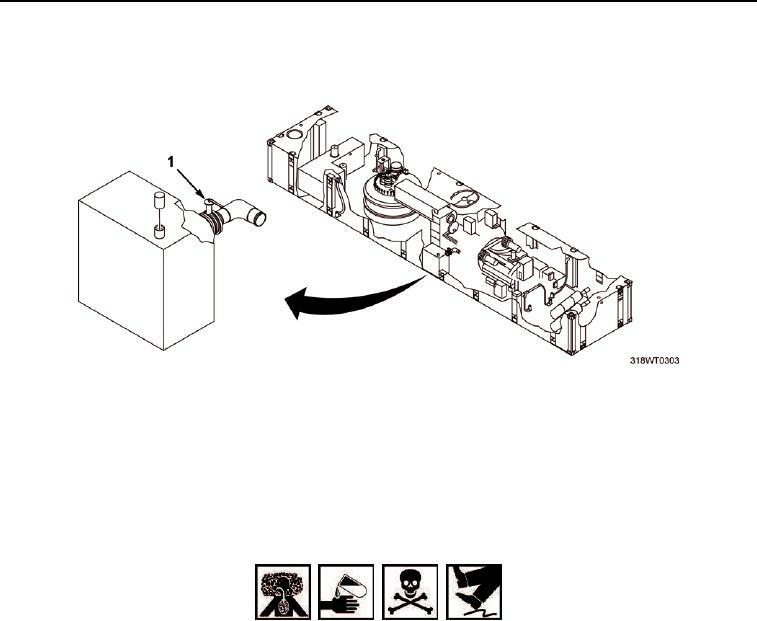 Remove two clamps (Figure 3, Item 4) from two fresh water coolant hoses (Figure 3, Item 5). water to drain into the drain pan.